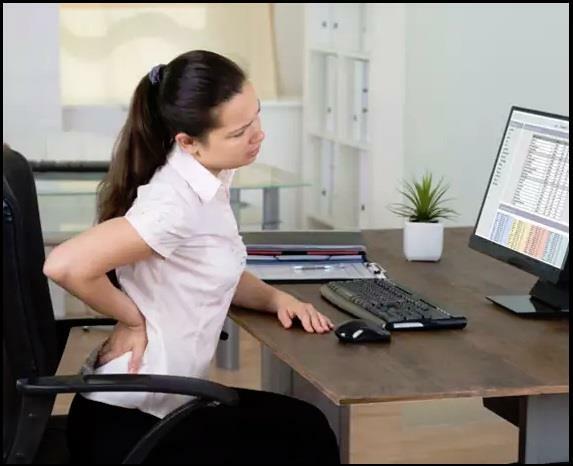 WASHINGTON : Poor posture while working on the computer can lead to fatigue, increased muscle tension and even injury to the vertebrae over time, a study has found. The seemingly harmless posture can even limit the ability to turn your head, researchers said. "When your posture is tall and erect, the muscles of your back can easily support the weight of your head and neck -- as much as 12 pounds," said Erik Peper, a professor at San Francisco State University in the US. "But when your head juts forward at a 45 degree angle, your neck acts like a fulcrum, like a long lever lifting a heavy object," Peper said. "Now the muscle weight of your head and neck is the equivalent of about 45 pounds. It is not surprising people get stiff necks and shoulder and back pain," he said. Researchers tested the effects of head and neck position. First they asked 87 students to sit upright with their heads properly aligned on their necks and asked them to turn their heads. Then the students were asked to "scrunch" their necks and jut their heads forward. Ninety-two per cent reported being able to turn their heads much farther when not scrunching. "You can do something about this poor posture very quickly," said Peper. To increase body awareness, Peper advised purposefully replicating the head-forward/neck scrunched position.